About 50% of all people wish their dog or cat could do this; what is it? About 50% of all people wish their dog or cat could brush their own teeth! 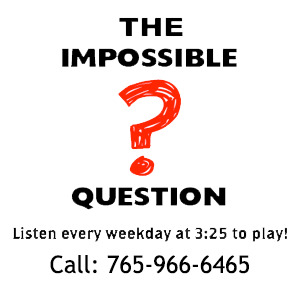 Congratulations to Annette Jones of Richmond, IN for being the first to answer the Impossible Question!